One of the least discussed aspects of solar panel ownership is the loss of production due to airborne particles (such as dust and atmospheric pollutants), bird droppings, tree leaves, and saps. This issue is normally glossed over by dealers selling commercial and home solar panels. Why? Because solar panel cleaning can be difficult and expensive. Running soap and/or water from the rooftop can stain the sides of a house if there is not an overhang. Even if there is a properly designed overhang, the soap and water need to drain somewhere. Constant use of some cleaning products may damage solar panels as well as plant, trees, or foliage and may also be harmful to animals and pets. Home solar panel's constant use of a particular product harm the solar panel glass or the anodized aluminum frame? 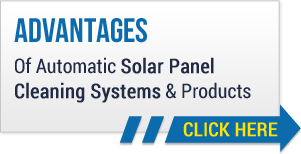 Solar panel frames tend to be more sensitive than the solar panels themselves. There is a very narrow PH range that is safe for anodized aluminum. This is important so as not to cause damage over time to panel frames. While some cleaning products indicate that they are environmentally friendly, it is also important to determine whether the product is "safe over time." Using a product once may not cause any harm. However, if you are constantly cleaning, will there be a toxic build up that could kill plants or trees? It is important to thoroughly investigate a product before using it. The goal of renewable energy sources such as solar panels is to create clean energy and thus reduce the impact of fossil fuels that create greenhouse gases. In that spirit, it is equally as important to remember that we should not waste water or pollute the ground with toxic chemicals.